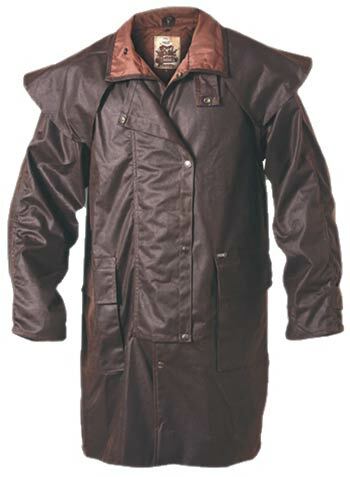 100% MADE IN AUSTRALIA Heavyweight HIP LENGTH Riding Coat". Made of Driza-bone's Oilskin fabric which is a 400gm/m2 plain weave oil impregnated waterproof breathable fabric with heavy duty twin needle welt seams to provide a waterproof, breathable coat. Riding Cape - keeps rain off! Extra long sleeve with reinforced inner elbow patches. Fittings for LINER EMAIL US for liner availability! Seams are heavy duty double stitched.